Friday night, I can hardly believe it's here already. I know I still have 25 more days of writing, but these first 5 went by so quickly I actually hope it slows down! I'm celebrating Friday night my favourite way, home with Netflix. 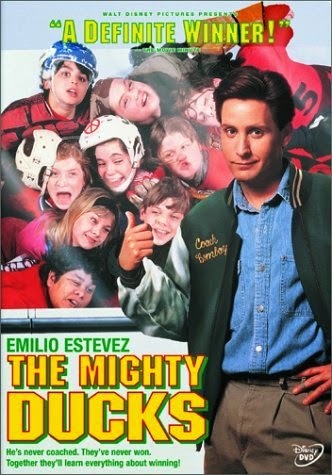 Tonight I'm watching The Mighty Ducks because, well, Joshua Jackson. I'm not ashamed to admit it! It's Friday night, I'm allowed a guilty pleasure. Not for long though, because tomorrow I will be doing a bunch of research for some new clients. I am a bit of a research and data nerd, so I'm really looking forward to it. Unfortunately, I don't get to play in data for my own brand and business. Why is that? Well, it's because I don't really have a website. I mean, I have this blog, and I've added some services to it, because it's the only thing I have right now. It's really terrible best practice! With my clients I always insist that they need a website. Social networking is great and useful, but ultimately sales are made somewhere else. Sometimes they are made on websites, sometimes they are made in email marketing, sometimes they are made over the phone, sometimes they are made in person. Social networking gets you closer to those places where sales are made. Websites are a good place to start the sales process. It's on websites that you can show off your stuff. It's on websites that you can begin the long process of making a sale. Start by getting an email address. Offer special offers and move people further down the line. Have a call to action which gets someone to give you their phone number so you can call them. And what's great about websites (and email marketing) is that you can measure all of these things. You can find out how many times someone visits your site before they sign up for your newsletter. You can find out which articles are getting the most people to call you. You can find out which social networks are worth spending ad dollars on. It's amazing how much information you can learn, simply by paying attention to your website traffic. I've fallen into the trap so many of my clients have fallen into. The website is not ready yet, it needs to be just so, everything in it's place, one more polish of the text before hitting publish. These are lies. This is procrastination just the same way spending a weekend watching an entire season of House of Cards is procrastination. I need to embrace the attitude of minimum viable product. Apparently I seem to think this site has been good enough to work with for the last few years, so I don't need to keep putting off publishing my CircleOfMedia.com website. The only way I'm going to perfect it, is by testing it and seeing how people use it. So, instead of polishing those bits I'm stumbling over, I will write the content for the few pages that are still blank, even if it's 140 characters or less. And I will publish it. Next week. Maybe. In the meantime, I offer you aa sneak peek of what it will look like.